The BTP will contest from Dahod, Chhota Udepur, Bardoli, Valsad, Ahmedabad West as well as Sabarkantha and Bharuch, both of which have sizable tribal presence. The Bharatiya Tribal Party, formed by MLA Chhotu Vasava ahead of the 2017 Assembly elections in Gujarat, has fielded candidates in seven Lok Sabha seats in the state. The party had won two Assembly seats in the 2017 state polls when it had an alliance with the Congress. However, alliance talks failed this time and the BTP decided to fight the April-May Lok Sabha polls alone. The BTP will contest from Dahod, Chhota Udepur, Bardoli and Valsad Lok Sabha seats, all reserved for Scheduled Tribes, Ahmedabad West (Scheduled Caste) seat as well as Sabarkantha and Bharuch, both of which have sizable tribal presence. Vasava, who is MLA from Jhagadiya, is contesting from Bharuch seat. He had contested on a Janata Dal (United) ticket from Bharuch in the 2004 and 2009 general polls, coming third in both contests. For the BTP, Ashwin Vaghela will contest from Ahmedabad (West) seat, Dharmendra Kharadi from Sabarkantha, Ramesh Garasiya from Dahod, Rajesh Vasava from Chhota Udepur, Uttam Vasava from Bardoli and Pankaj Patel from Valsad. Before parting ways with the JD (U), Vasava had gone against the party whip to vote in favour of senior Congress leader Ahmed Patel in the Rajya Sabha election in August 2017 in a closely-fought contest. Patel hails from Bharuch from where Vasava is contesting this time. 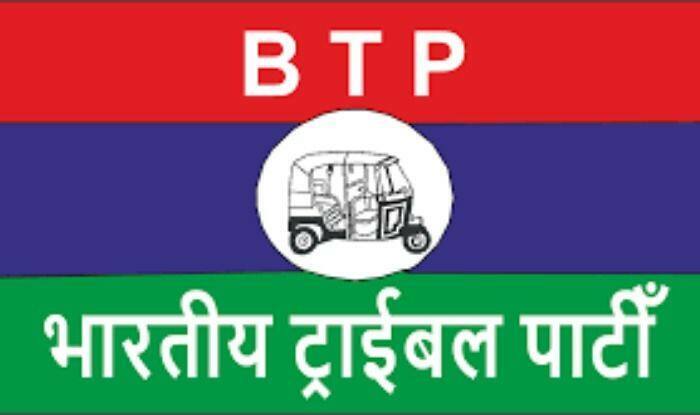 Congress sources said the alliance with BTP did not work out over differences on party symbol. Vasava has a good following among the tribals in some pockets of the state and the BTP could inflict damage to the Congress in the four ST reserved seats, observers said. Vasava had got 63,000 votes in the 2009 polls and 1.1 lakh votes in the 2004 elections.